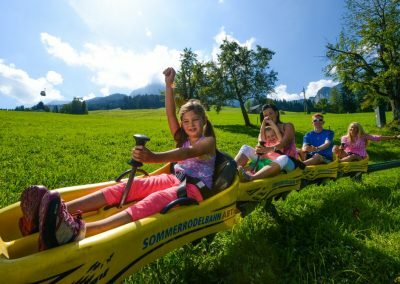 Tobogganing in summer? Why not? 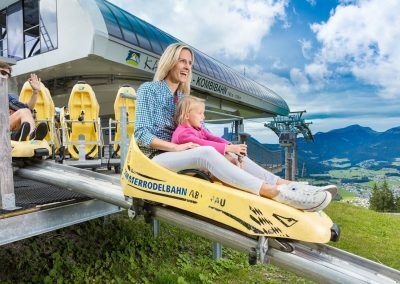 Abtenau’s summer toboggan run lets you speed down the track on the Karkogel mountain from May until October. 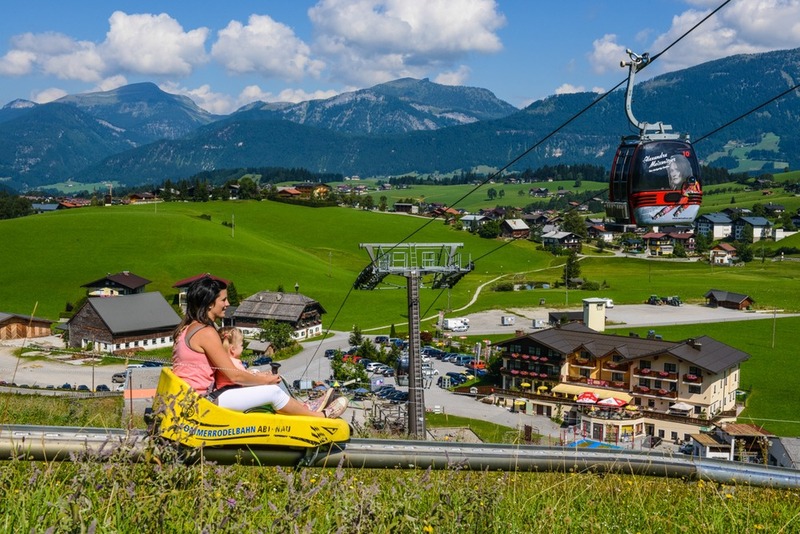 Leave your car at the free car park at the valley station of the Karkogel cable car. 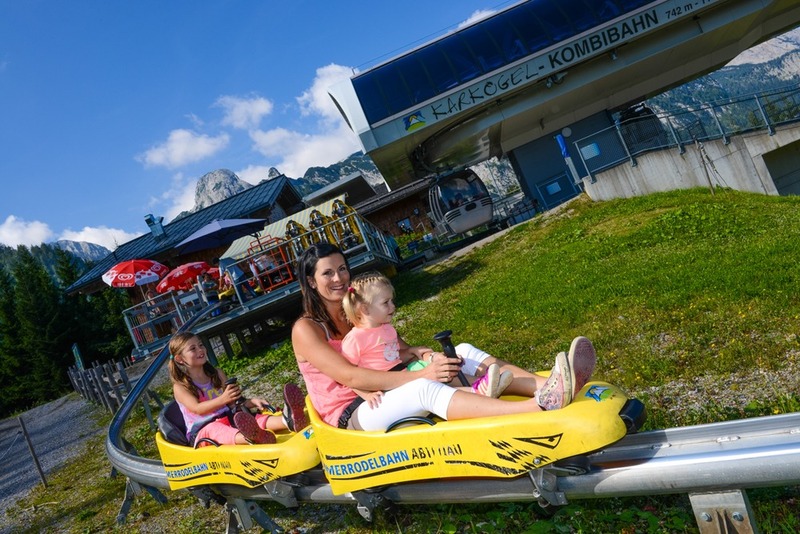 The comfortable gondola will take you in just a few minutes right up to the start of the toboggan track, where aerodynamic yellow summer toboggans await brave riders! 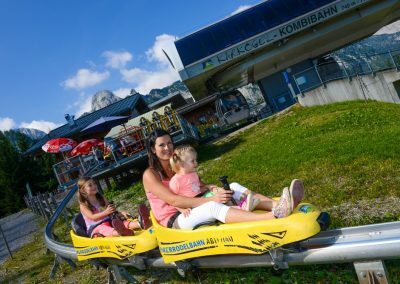 Kids up to 6 years old can ride the summer toboggans with an adult. 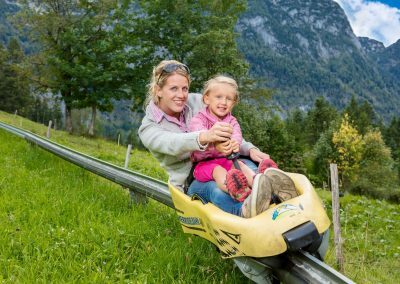 Kids 6 years and older who meet the height requirements for braking can ride alone with a child seat. 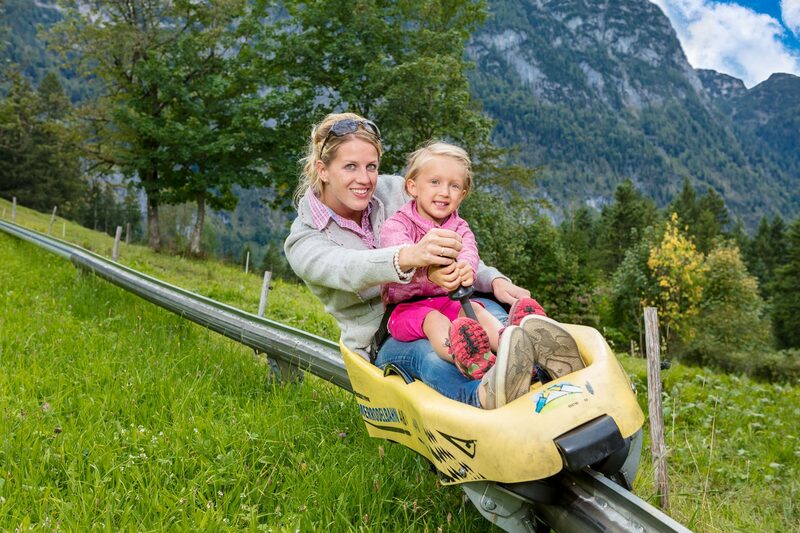 Safety belts are a must for all riders, young and old! 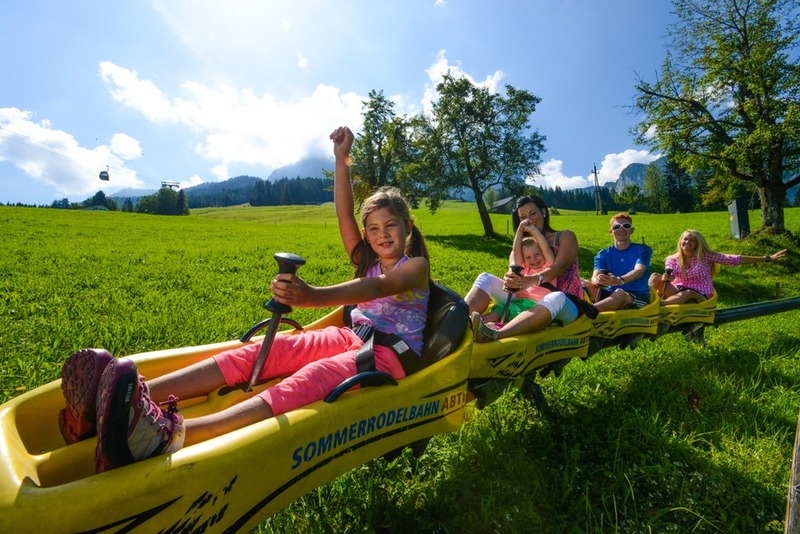 The scooter’s centrifugal brake ensures that no rider will go too fast as the scooter automatically brakes when it reaches its maximum speed of 30 km/h. 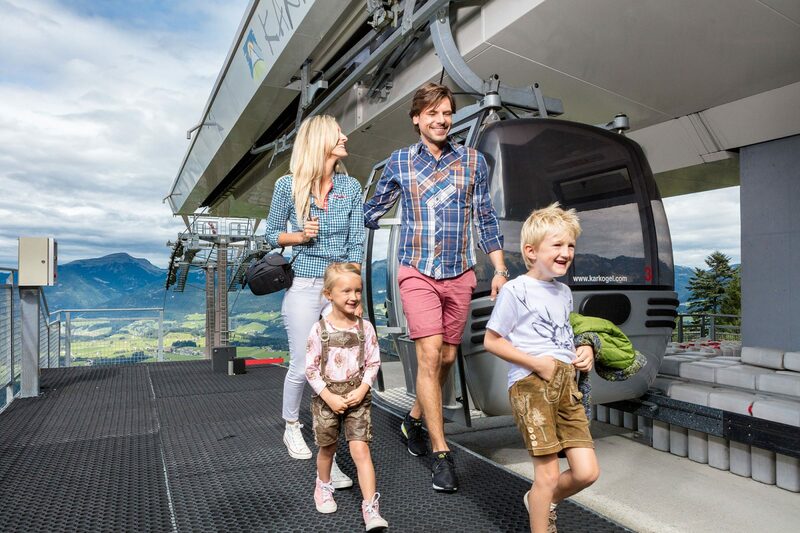 After the track is clear of previous riders and you get “the green light”, you start at a height of 1,133m above sea level from the Karkogel cable car mountain station and ride over 1,980 metres through curves, straightaways, and tunnels1 to the valley below. 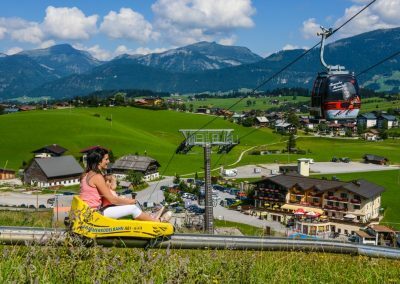 Who will have time to enjoy the view? And before you know it, you’re at the finish line! That means just one thing – get back into the cable car and head back up the Karkogel! 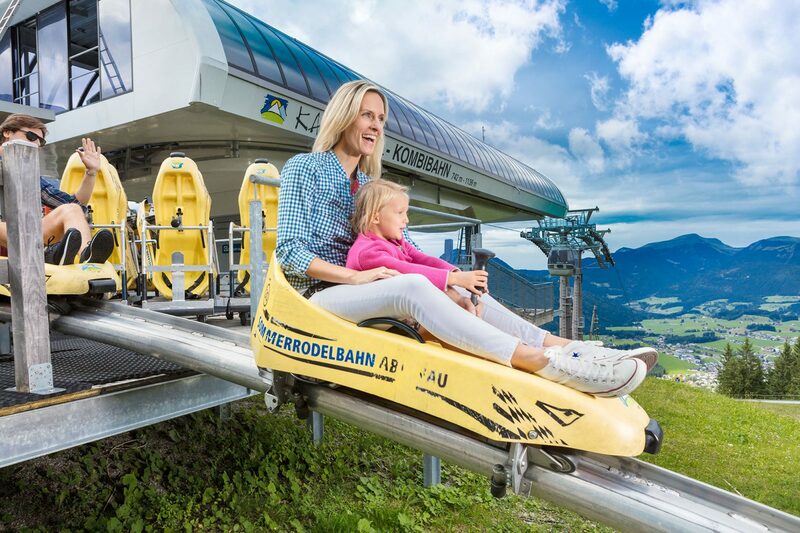 Every Guest declares by going through of the turnstile that Abtenauer Bergbahnen GmbH saves during the descent with the summer toboggan run action photos of adults and their associated children for the purpose of the later sale to the tobogganers for 24 hours. Using this photos for any other purpose is excluded and requires seperate written consent of the customer.